The last flying passenger Douglas DC-10 rests inside a hangar at Hazrat Shahjala International Airport outside Dhaka, Bangladesh on February 19, 2014. The final commercial flight of a Douglas DC-10 jet landed on Thursday in Birmingham, United Kingdom, ending a forty plus year run of scheduled passenger service around the world. The jet, well known for its unusual tri-engine configuration, first flew in 1970. Able to carry hundreds of passengers long distances, it became a staple of air fleets around the world from American Airlines to Japan Airlines and beyond in the 1970s and early 80s, selling 386 frames before production ended in 1988. Newer twin-engine jets gradually replaced the passenger DC-10s over the subsequent decades, leaving only Dhaka-based Biman Bangladesh by 2014. The final journey of the final jet began the Thursday morning, at Hazrat Shahjala International Airport outside Dhaka, Bangladesh, some twelve hours earlier. Locals and airport workers turned out in force to bid the last passenger DC-10, ironically named New Era, adieu, snapping photos with cell-phone cameras as the airplane taxied out for departure. On the runway, the captain released the brakes, and the giant airplane lurched forward, picking up speed as its three engines roared to life. Hurtling down the runway, it lifted gracefully into the sunny skies over Dhaka, turning west to chart a course toward Kuwait City, and to retirement. 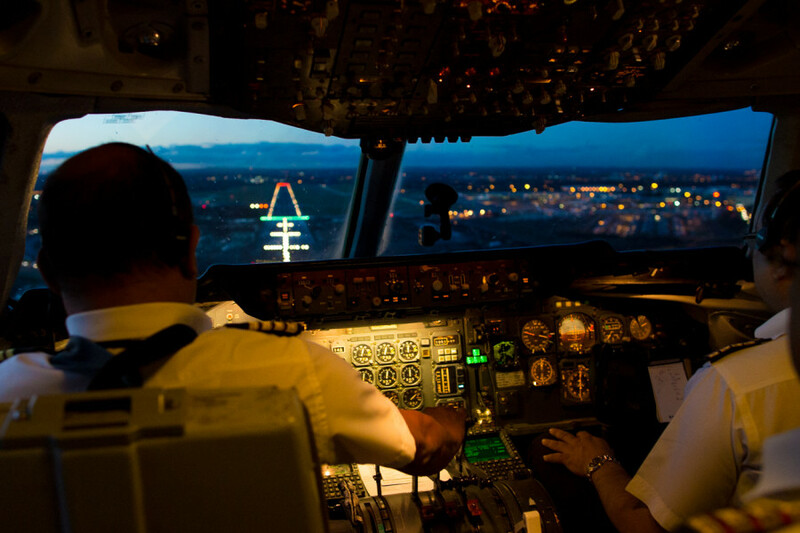 At the controls of the flight is Captain Shoaib Chowdhury. A twenty-two year veteran of Biman Bangladesh, Chowdhury has spent seven years on the big tri-jet, flying it across the world from Hong Kong to New York. Today’s flight will be one of his last. 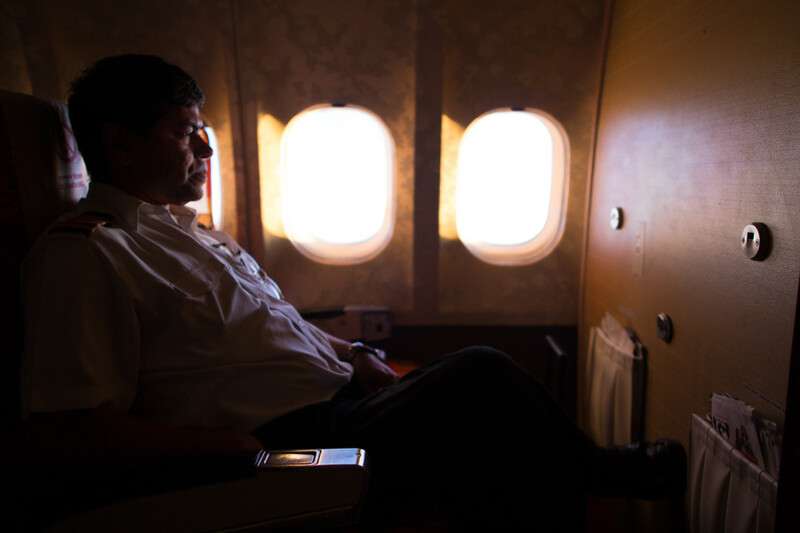 “I feel very proud; this is a great opportunity to fly the last commercial DC-10 flight,” said Chowdhury, “The DC-10 is a wonderful…robust aircraft. I love to fly the airplane.” His time with the jet dates back to the mid 1990s, nearly ten years after the carrier had already been operating them, as a first officer. He eventually earned the rank of captain, and moved to smaller regional jets before transitioning back to the DC-10 several years later. Flight engineer Selim Azam agrees, sort of. “Certainly I feel bad…especially for me since there is no aircraft [for me to go to]; it will be shocking for me.” The airplane’s retirement presents a curious case for Selim, who will find himself without an airplane to work on in only a few week’s time. His role on the flight deck, once considered essential in the early jet-age, has long been rendered obsolete as airplanes transitioned to two-member cockpit crews. 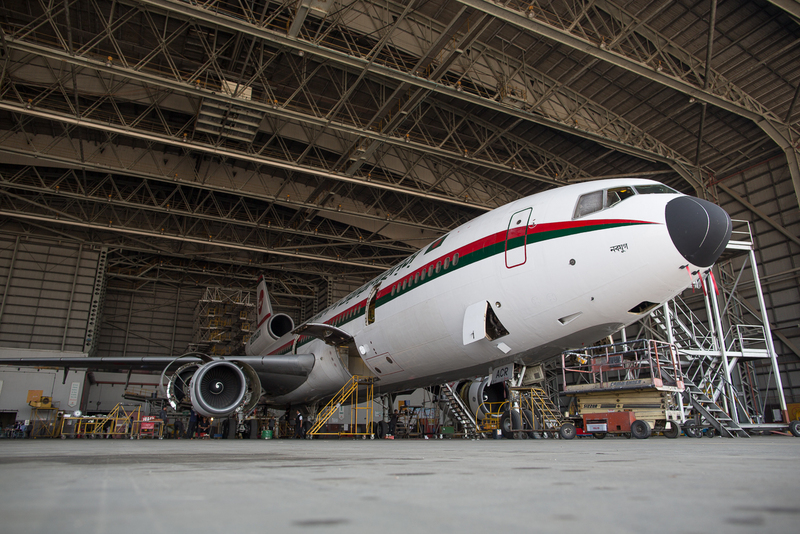 But here at Biman, Selim has found a steady a job in the DC-10 for the past twenty-five years. He noted that he and the company have an agreement on what comes next for him, though he declined to share details. “It has been a fantastic 25 years”, said Salim, adding that moving on is “natural” with a less than convincing smile. Flight engineer Selim Azam takes a rest on board the jet between Kuwait City and Birmingham on February 20, 2014. His position outdated and unnecessary in modern jets, he will retire along with the DC-10 following the flights. Chowdhury, however, will transition to the carrier’s new Boeing 777s next month. Consequently, he felt a bit more cavalier about the DC-10s retirement than did Azam. The captain’s story, however, mirrors that of the carrier, which has likewise been moving on from the aged DC-10 and on to the modern 777 for several years. Thus, for Biman, the retirement is bittersweet. As Chowdhury points out, the airplane was good to the airline during its 26 year service run. “It gave everything to our airline, and our pilots,” he said. And he’s right: the airplane provided reliable high-density international service to some of its most popular destinations for years, holding down the long-haul fort until a suitable replacement could be acquired. Yet with the type passing 43 years since its first flight in 1971, operating the airplane had become a challenge. Rising fuel costs to feed the airplane’s three aging and comparatively inefficient engines have proved costly. Sourcing spare parts to keep the airplane in top shape has also been tough. Ultimately, both Azam and Chowdhury concede that now is the right time. Meanwhile, only a few feet behind the flight deck, another story played out in the passenger cabin as thirty or so people from around the world sat scattered throughout the otherwise empty jet. Trading everything from memorabilia to memories, these are the truly hard-core aviation geeks. The type who can correctly ID a DC-10-10 from a DC-10-30 at a thousand-yard glance, or who can talk in detail about the history of an airline with more accuracy than most of its employees. Many traveled thousands of miles to have this last go at the DC-10, some logging their last of hundreds of flights, others only their first. One such traveler is 32-year old Zack Lewis, who made the trip out from Dallas, Texas to catch his first—and last—DC-10 ride. “I’ve known the difference between plane types since before I knew how old I was,” Lewis says as Istanbul, Turkey races by 36,000 feet below. He traces his passion for aviation back to his father and grandfather, both of whom worked for McDonnell Douglas, though neither on the tri-jet he’s spent the past nine hours aboard. Further back in the main cabin, airplane enthusiasts gathered to trade stories and memorabilia over lunch high above India. Many traveled from across the globe to take in one last ride, such as Bernie from Seattle, left, and Aaron, from the Netherlands, right. Though starting as a military fan, Lewis eventually came to appreciate the civil side of aviation. It led him to start seeking out opportunities to fly aboard unusual or rare aircraft several years ago. As for the DC-10, Lewis says he’s glad to be “ticking it off the list,” adding “this is the best so far.” He also admits “there’s good bragging rights that’ll go along with this,” a nod to the often competitive trading of stories that takes place among the tight-knit av-geek community. “I know in twenty years I’ll look back and be so glad I got it.” he says. Nearby, Guy Van Herbruggen from Belguim is seated in 38J, towards the rear of the airplane. “The DC-10 is one of my favorite three aircraft,” he says. Van Herbruggen would know: He estimates he’s flown well over 100 times in the airplane, due in large part to his work for FedEx. He recounts his first flight on the jet in 1987—he was 24 at the time—on a board a Northwest Orient flight from London Gatwick to Boston. Laughing, he remarks it was a “miserable” experience. He spent the entire flight in the very last row of the airplane, which also happened to be the smoking section. It was a sentiment that resonated with others. While passengers on some of the early iterations were treated to expansive lounges even in coach, many who flew on the jet in later years had a more sardine-like experience. The final passenger DC-10 flight leaned more toward sardine than spacious, with Biman decking out the airplane in a high-density, 100% economy lay-out. The seats are painfully close together, leaving precious little space for knees, let alone dinner. Yet all aboard are still happy to be here celebrating the last days of the DC-10. After landing the airplane will fly a handful of local scenic flights in the Birmingham area before returning to Dhaka. The airline reports a buyer has been found, and the airplane will wind up parted out and sold for scrap. It is a fate hardly fitting for the twenty-five year old aircraft, but business is business. And for Biman, it’s time to move on. Some twelve hours later, after having flown up from Dhaka, via Kuwait, the last passenger DC-10 prepares to land in Birmingham, UK. As the wheels touch down, forty plus years of regular service come to an end. A version of this story first ran on Airways News on February 20, 2014.